In 1962, President John F. Kennedy proclaimed May 15th as National Peace Officers Memorial Day and the calendar week in which May 15th falls, as National Police Week. 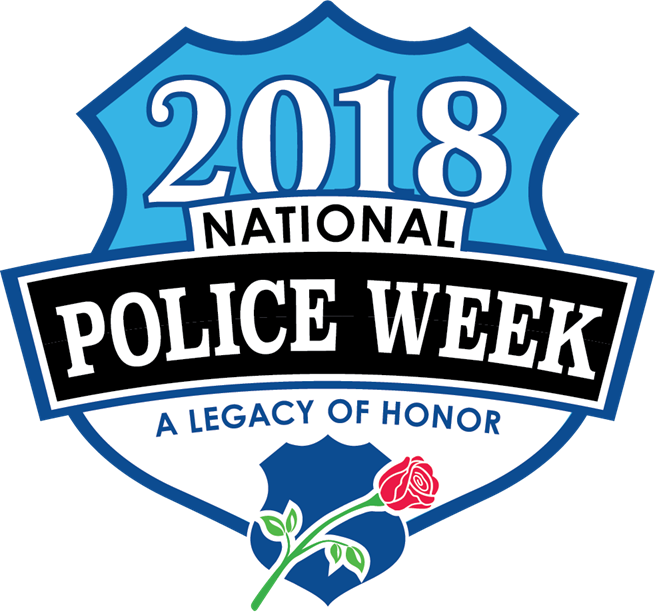 Established by a joint resolution of Congress in 1962, National Police Week pays special recognition to those law enforcement officers who have lost their lives in the line of duty for the safety and protection of others. Traditionally, the local Fraternal Order of Police (F.O.P.) Burgess-Mills Lodge #11 conducts a Law Enforcement Memorial Service at the Kingsport Justice Center during National Police Week. The service this year will be held this coming Monday, May 14, 2018 at 4:00 PM at the Kingsport Police Department Law Enforcement Memorial and Eternal Flame, located on the corner of West Market and Clay Streets in Downtown Kingsport. As always, the department extends an open invitation to anyone who would like to join us as we remember and honor our local fallen officers, as well as all fallen officers throughout the nation. State Representative John Crawford, of the Tennessee General Assembly House of Representatives, will serve as the keynote speaker. Representative Crawford is a lifelong advocate of law enforcement with nearly two decades of service as a Reserve Officer with the Kingsport Police Department, the Sullivan County Sheriff’s Office, and the Hawkins County Sheriff’s Office. The following inscription is found on the National Law Enforcement Officers Memorial in Washington D.C.